Cross the road to the cycle path and turn right for Killarney town for 2km. 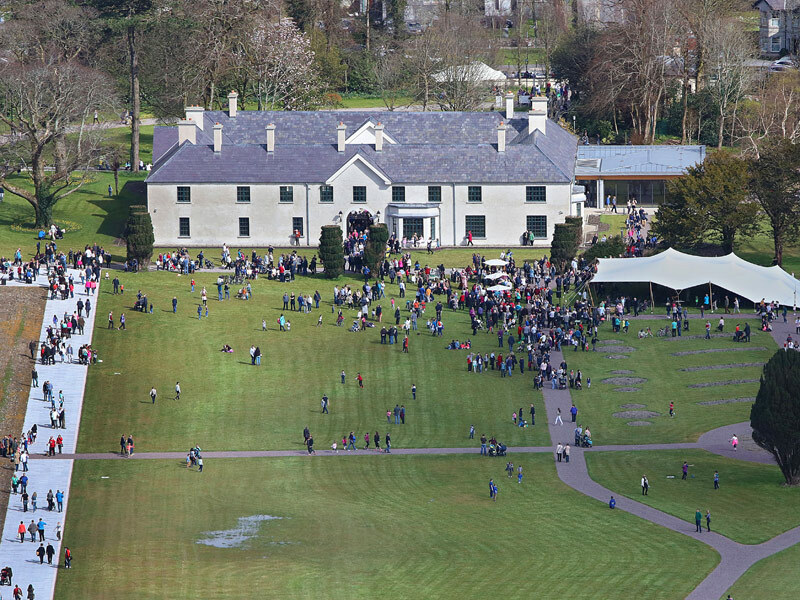 At the first roundabout, at the junction of Muckross Road/Countess Road, is the entrance to Killarney House and Gardens. Please exercise great care as this is a busy road with vehicular traffic. 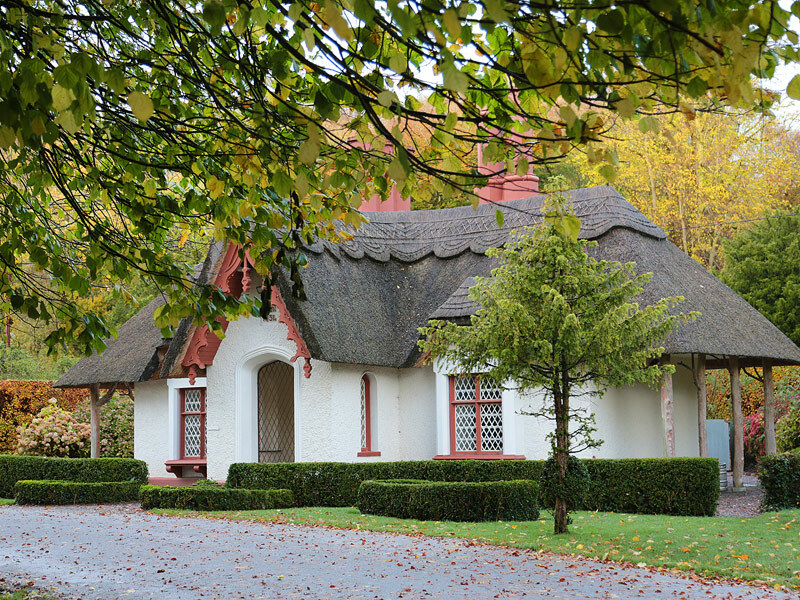 Take some time to visit but please note that cycling in not permitted in the grounds but you can walk your cycle the short distance to the entrance to Knockreer Estate, part of Killarney National Park. Continue on until you cross a bridge and arrive at the pretty thatched Deenagh Cottage. Follow the signposts from here to Ross Castle. The route follows the Deenagh River until it enters Loch Lein and then follows the lake shore to Ross Castle. 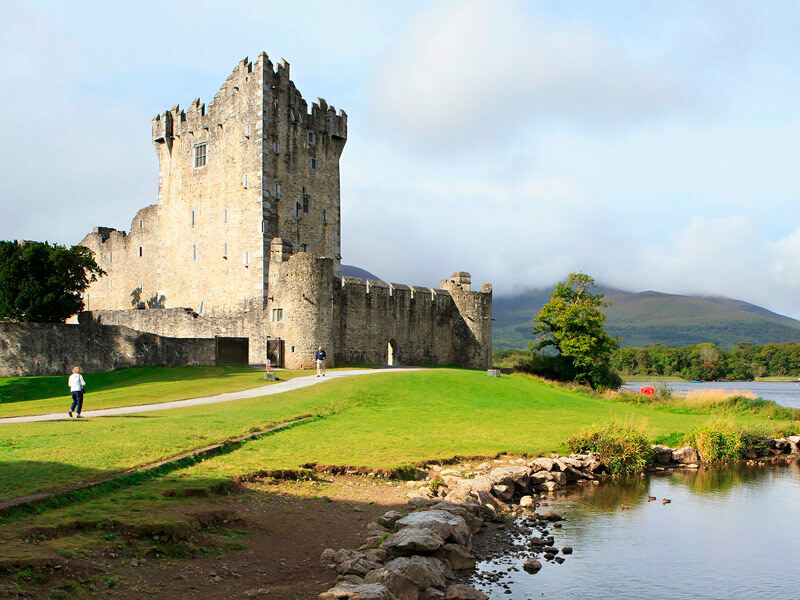 The castle gives a real insight into the life of an Irish chieftain in medieval times. Loved the bike, loved the routes, loved Killarney… can’t recommend Killarney National Park highly enough. Ross Castle stands on the shores of Loch Lein. It was built in the late 15th century by the local ruling clan, O’Donoghue Ross. A typical tower house, it was surrounded by a fortified wall defended by circular towers, of which only two remain. Ross was one of the last castles in Ireland to surrender to Oliver Cromwell’s forces in 1652. The Cromwellians dragged gun-boats up the River Laune and surprised the occupants by attacking the castle from the lake. The castle is authentically restored and contains 16th and 17th-century oak furniture. Open March-October, 9.30am-17.45pm. From the castle take Ross Road to the junction of Muckross Road, the first set of traffic lights. Turn right here, cross Flesk Bridge, the Brehon Hotel and the Gleneagle Hotel on your left and you’re back at our depot. The first part of this route is on the main road. From Killarney House, the route continues on a National Park path. Lunch and snacks can be purchased in Killarney town, adjacent to Killarney House.